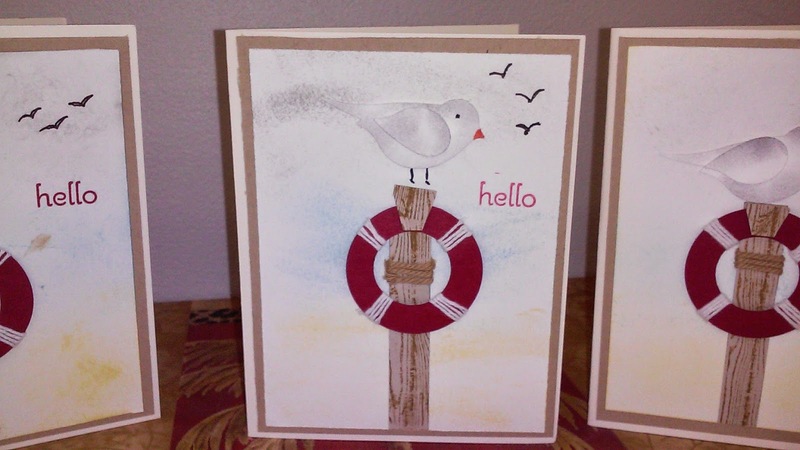 Art Gallery Cards: Card Making Magic at the Titusville Art League! Happy Friday and may you find some time for your creative fun! 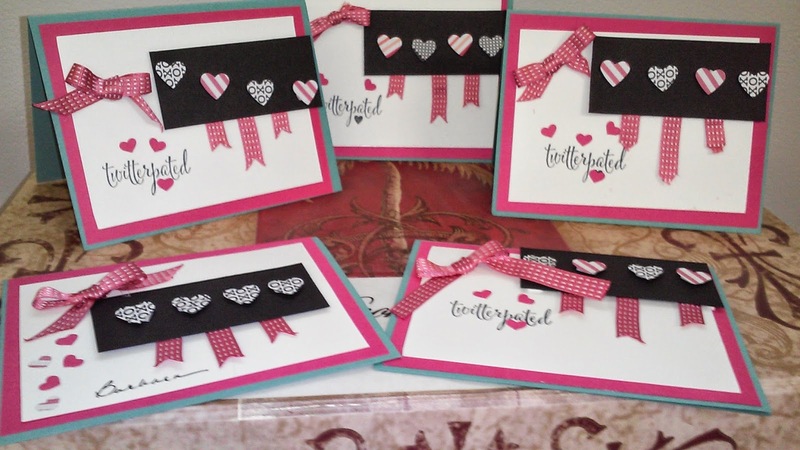 I'll be making valentines with the grands today and using some of my retired kits that have been calling out to me for some time! I'll post some pictures of the results! 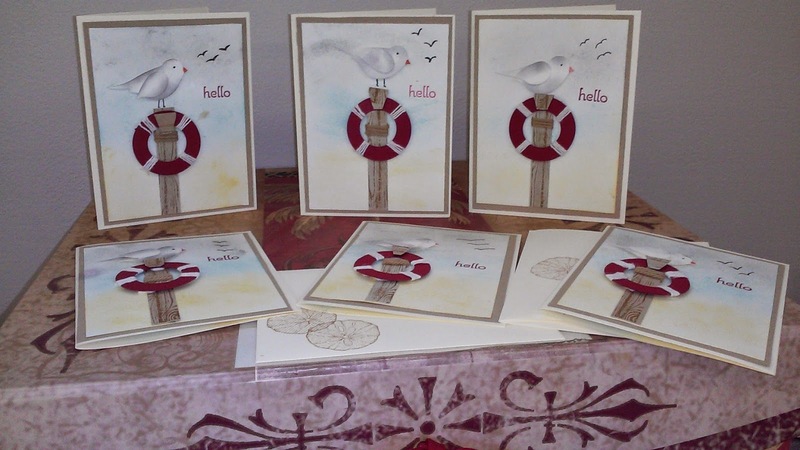 Yesterday we had a fun time at the Titusville Art League where we continued sharing the seagull card and our valentine inspired by stampinpretty.com Many thanks to Andrea, Sharon, Mary, Patricia and Nancy for your good company and creativity! Here are our cards. We pressed the retired Primrose Petals satin stitched ribbon (still available on the Clearance Rack) into service as my Lost Lagoon ribbon is temporarily depleted from earlier classes! It looks so pretty and the color just pops! !